Find your ideal wardrobe must-have here at Mainline Menswear from the extensive collection of jeans and trousers by Replay. 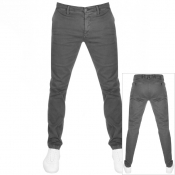 We stock a huge varietyof styles, sizes and colours so whatever youre looking for, you can find it atMainline Menswear. Our Replay jeans include slim fit, stretch fit, comfort fit,skinny and straight leg. We also stock original designs such as Replay Waitom,Replay Newbill, Replay Jondrill, Replay Ambass, Replay Ahlene, Replay RBJ 901Limited Edition jeans and Hyperflex jeans.